Sometimes simplicity is the best way forward. Although there’s not much to this look, it’s effortlessly chic (I think). 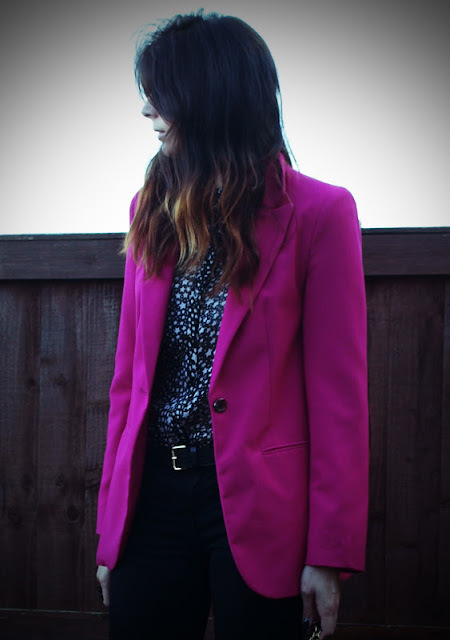 I have an addiction to blazers (and shoes of course! ), I see them as a mandatory category in my wardrobe. 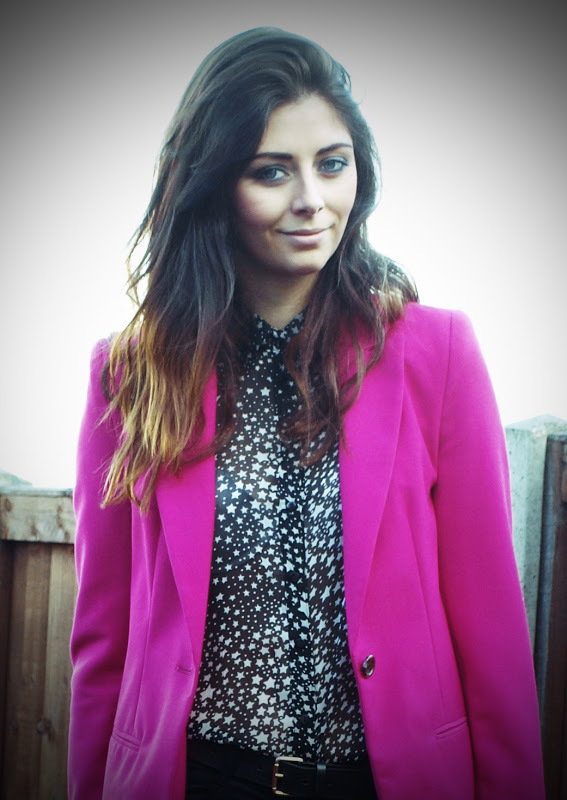 This striking pink one is from Matalan who have a range of longer line ‘boyfriend’ fit blazers (in a few different colours). Normally my blazer of choice will generally come from Zara but when you find a nice fit like this onhe…invest in all of them! 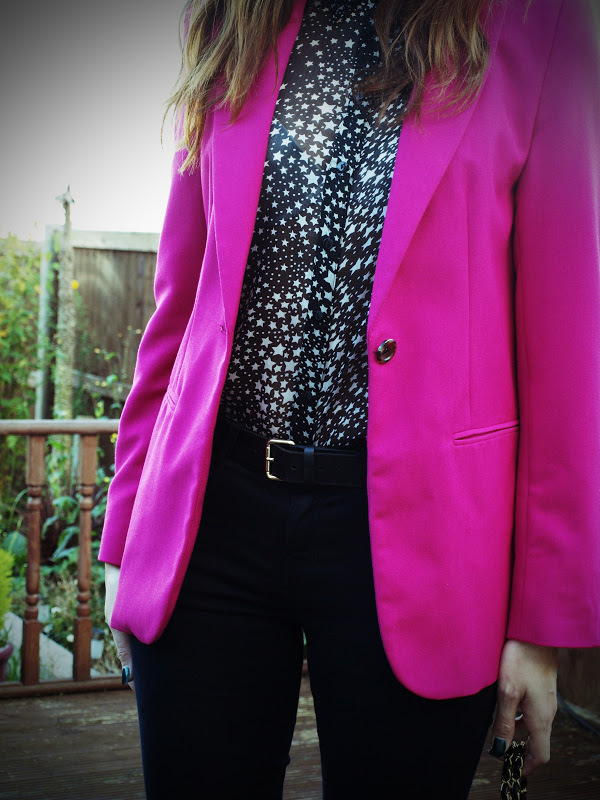 Blazer – Matalan (Current). Shirt – Primark (Old). Jeans – Zara (Current). Belt – Kurt Geiger (Old). Bag – Chanel. Shoes – Matalan (Old). Ring – New Look (Current).